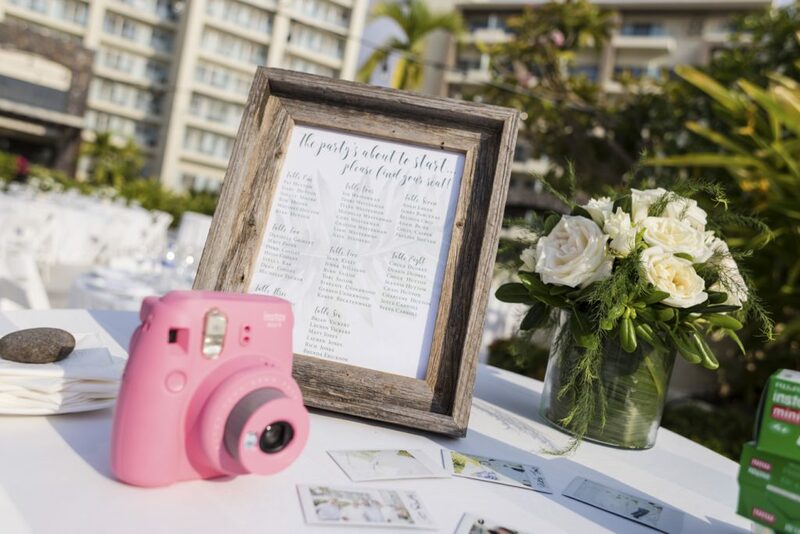 Every time a bride contacts me with a destination wedding, I am green with envy! 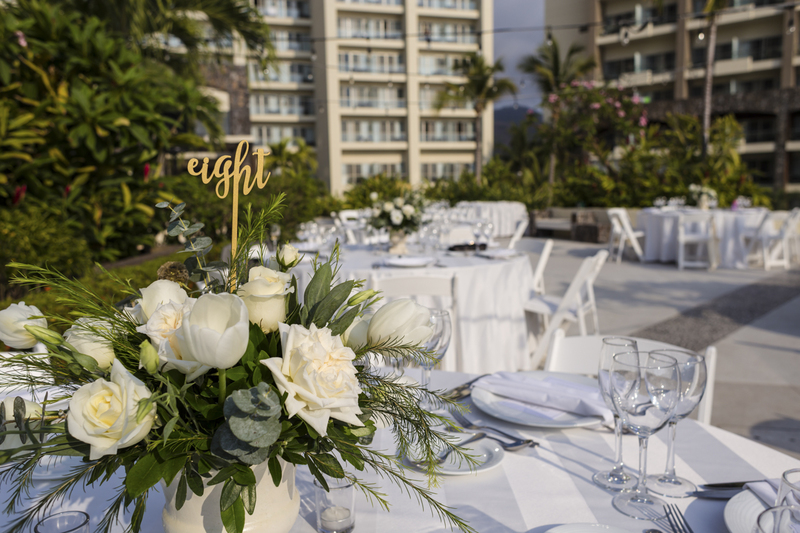 Don’t get me wrong, I loved every little bit of our traditional, ballroom wedding. 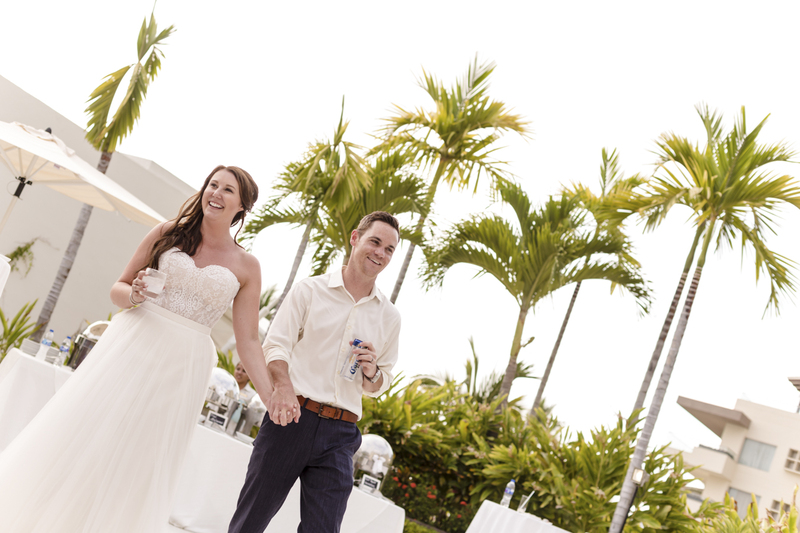 But there’s just something about running off and getting married on the beach with your closest people. And you get to be on vacation at the same time! 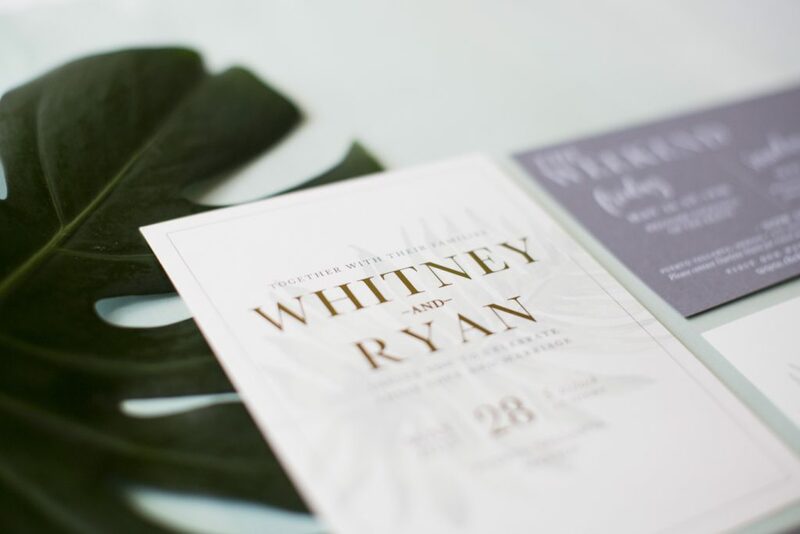 When Whitney contacted me to design her wedding invitation pieces my eyes lit right up! 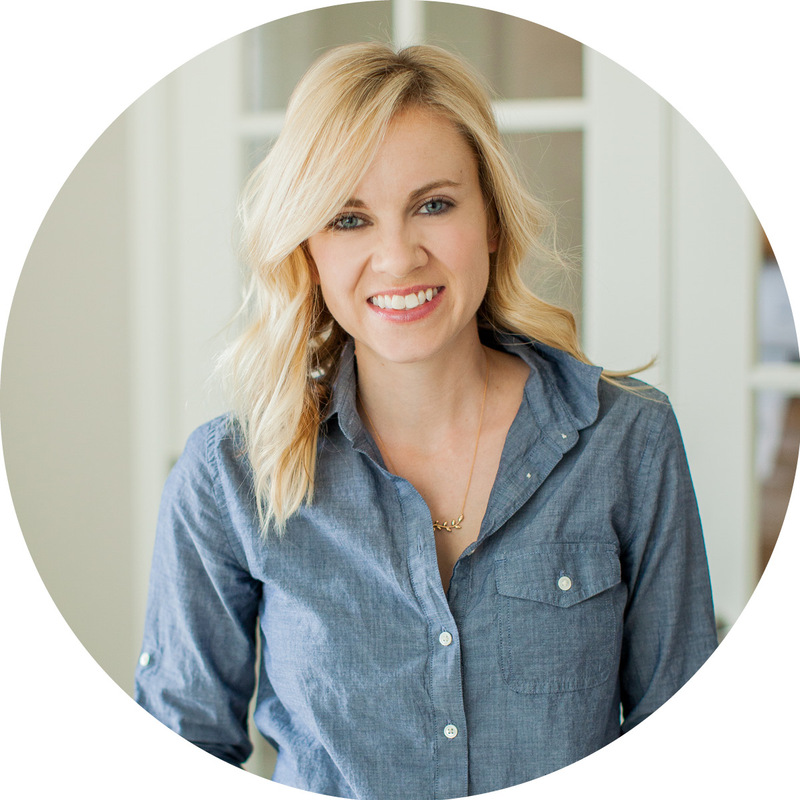 She was open to anything and everything, which made my job extra fun. 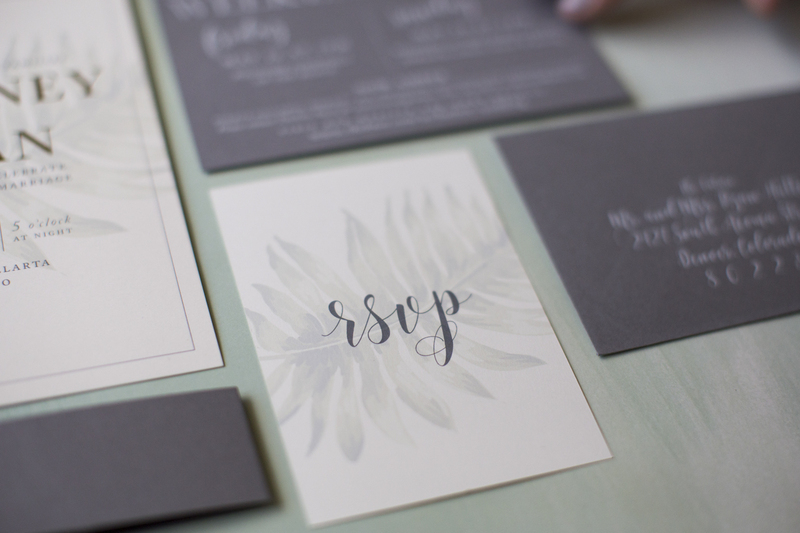 First up was designing the Save the Date, and this two sided piece is hands down one of my favorites. I love how we decided to keep the picture on the front simple, and not crowded with information. 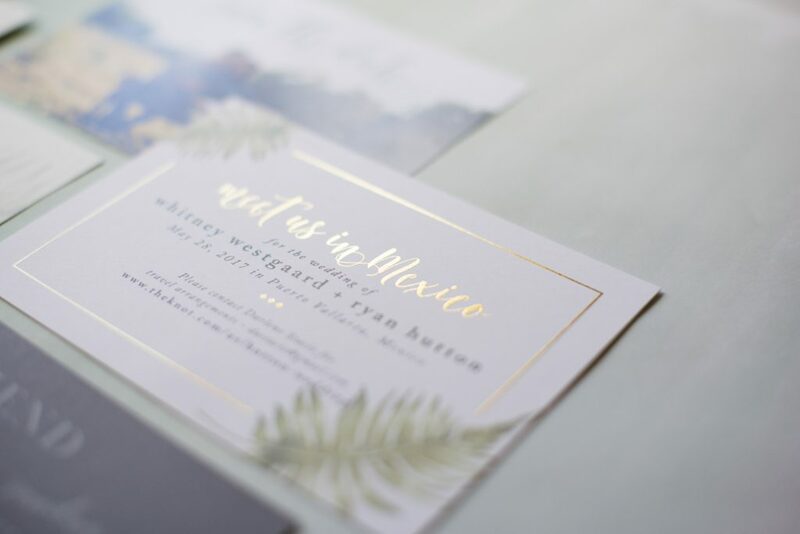 The backside truly served as an informational piece, but so much more with that pretty palm and gold foil detail. 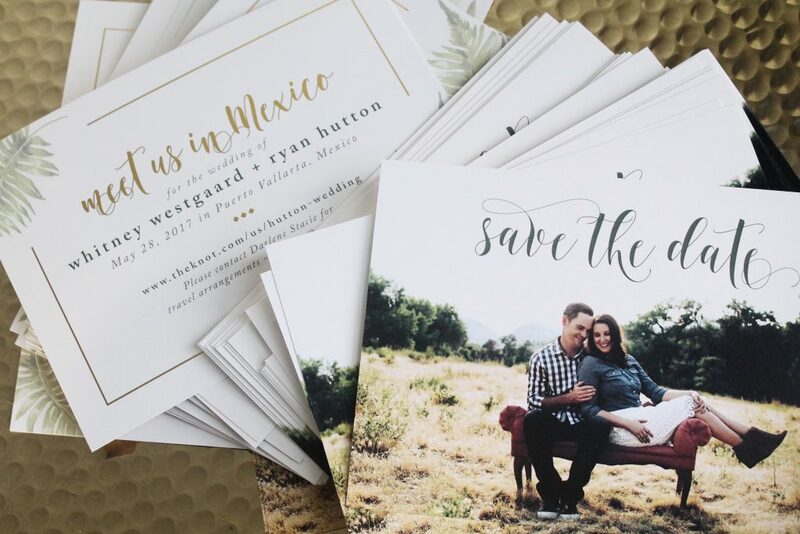 The wedding invitation basically designed itself given how inspired I was by the Save the Date. And they turned out even more beautiful in person than they looked on my computer. There is just something about that gold foil shine and the contrast of white ink on dark grey. 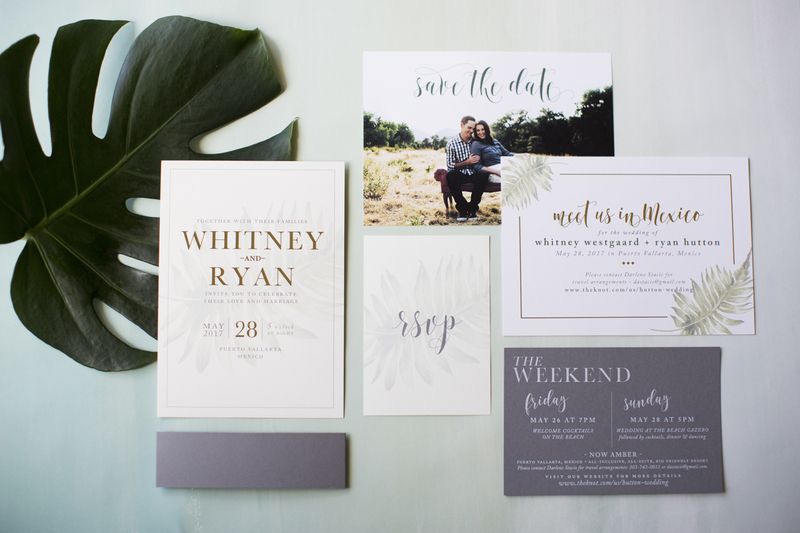 Gold, Gray, White and a Palm Leaf, Take me there!! 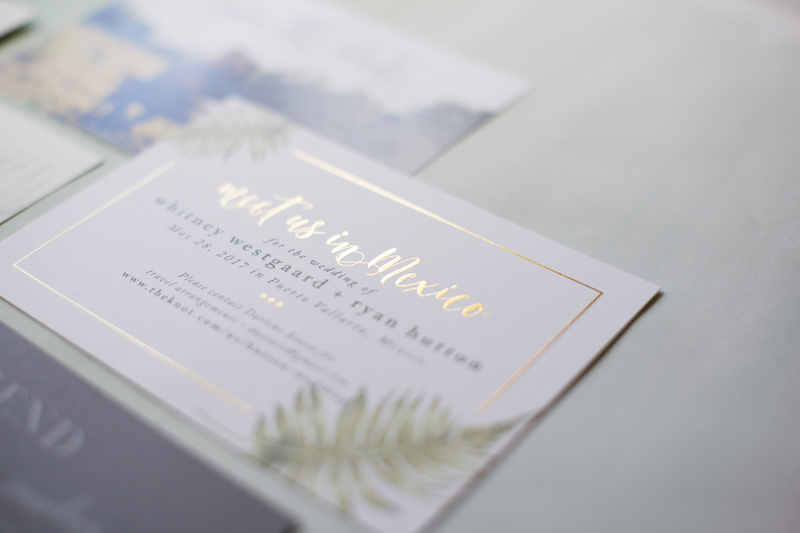 The palm and gold foil….LOVE!